Thermal Efficiency – Provides effective resistance to heat or cold transfer with a variety of R-values. Acoustical Efficiency – Reduces sound transmission through floor systems. Damage Resistance – ComfortTherm’s® poly sheathing protects it in harsh underfloor environments. Moisture Control – The plastic facing is a vapor retarder that resists water vapor transmission. In hot, humid areas, ComfortTherm® comes with a perforated plastic facing that does not act as a vapor-retarder. Mold-Resistance – ComfortTherm® does not support mold or mildew, and it is not a food source for insects or rodents. Formaldehyde-Free™ – Promotes better indoor air quality and is non-corrosive to pipes, wiring, or metal studs. The TAP® Crawl Space Insulation program featuring ComfortTherm® installs easily using just an ordinary utility knife and is sized perfectly to fit into standard cavities. ComfortTherm® insulation is placed between floor joists and secured with wire hangers (tiger teeth) that are pressed between the joists and against the insulation. 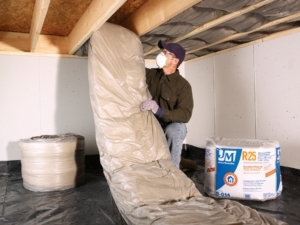 The TAP® Crawl Space Insulation program featuring ComfortTherm® is a wonderful addition to any home or business. We love sharing how the TAP® Crawl Space Program can benefit Homeowners. Here are a few of the most commonly asked questions. How is ComfortTherm® Insulation packaged? ComfortTherm® Insulation is available in batt form. It is compression-packed in plastic bags for savings in storage and freight costs. Each fiberglass batt is wrapped in a white plastic poly film, totally encapsulated with only the ends exposed, resulting in easier installation and very little itch or irritation. Available in pallet quantities (min one pallet). But for best value – order a full truck load or a drop trailer (approximately 50,000 sq. ft.) delivered to your location. Does ComfortTherm® Insulation contain formaldehyde? We are pleased to state that ComfortTherm® Insulation is formaldehyde-free™! 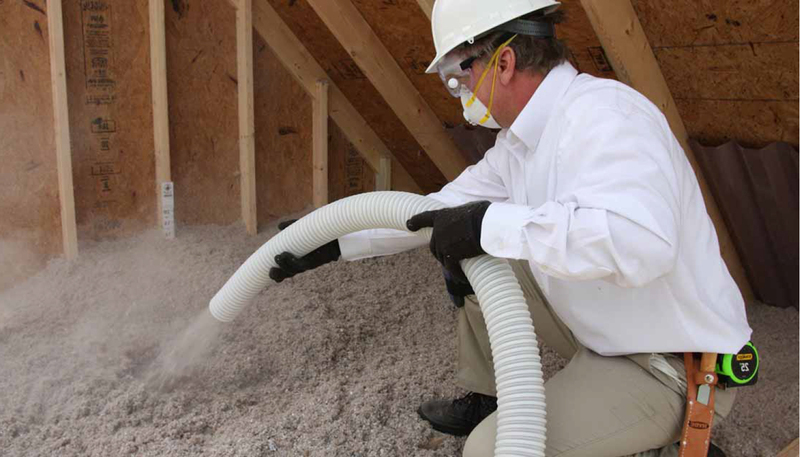 Can ComfortTherm® Insulation protect my home from insect or rodent infestation? ComfortTherm® Insulation is not a pest control insulation and is not intended to protect your home from insects or pests. What is the binder used in ComfortTherm Insulation? ComfortTherm® Insulation contains long, resilient glass fibers that are bonded with a bio-based binder made with rapidly renewable plant-based materials. ComfortTherm® Insulation batts cut easily with an ordinary utility knife and are sized to fit standard cavities. The fiberglass batts are placed between joists and secured with wire hangers (tiger teeth) pressed between the floor joists and against the insulation. Once installed, ComfortTherm® Insulation should be in contact with the sub floor leaving no gaps. Does ComfortTherm® Insulation have corrosive properties? No, ComfortTherm® Insulation does not promote the corrosion of pipes, wiring or metal studs. Does ComfortTherm® come with any type of warranty? Yes, ComfortTherm® Insulation comes with a limited warranty from the Johns Manville Insulation Group. What R-value does ComfortTherm® offer? ComfortTherm® is available in R19 and R30. For more specific R-value recommendations for your crawlspace refer to energystar.gov. If you do not see your question here, feel free to contact us at your convenience. We are always just a quick phone call or email away.